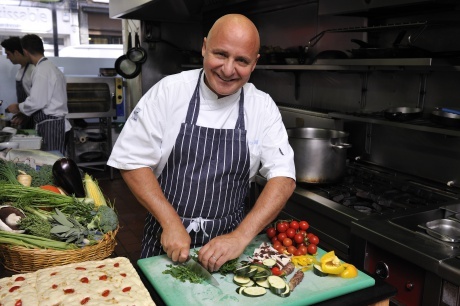 Aldo is an award-winning celebrity chef who specialises in Italian, vegetarian and seafood cuisines. One of nine children, he was born in the central Italian region of Abruzzo and first learnt Italian cooking from his mother. He went on to be the founder and chef patron of some of London's most exciting and innovative restaurants, including Signor Zilli, Zilli Fish, Zilli Green and Zille Cafe and has since worked as consultant, author and television personality and is the current food columnist in the Daily Express.